October | 2015 | 50 Westerns From The 50s. Happy Halloween From 50 Westerns From The 50s. 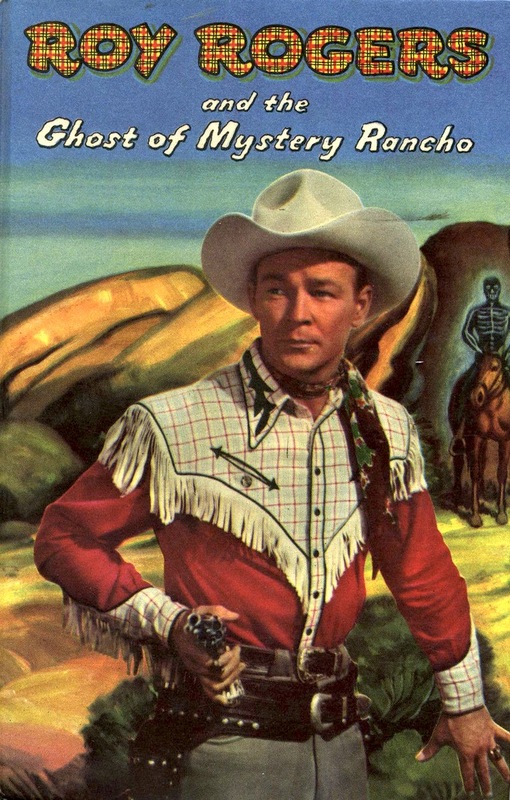 Roy Rogers And The Ghost Of Mystery Rancho is a Whitman book from 1950 by Walker A. Tompkins. I read it as a kid — was anybody else reading these things in the 70s? — and loved it. Revisiting it more recently, it held up well. It seemed like a good way to mark Halloween this year. Of course, you could always pull out John Wayne in Haunted Gold (1932), a picture I found impossibly cool as a kid. John Wayne and ghosts, could it get any better? Whatever you decide to do tonight (there’s the new Blu-ray of Them! ), have fun and be safe. And save the Raisinets for me! 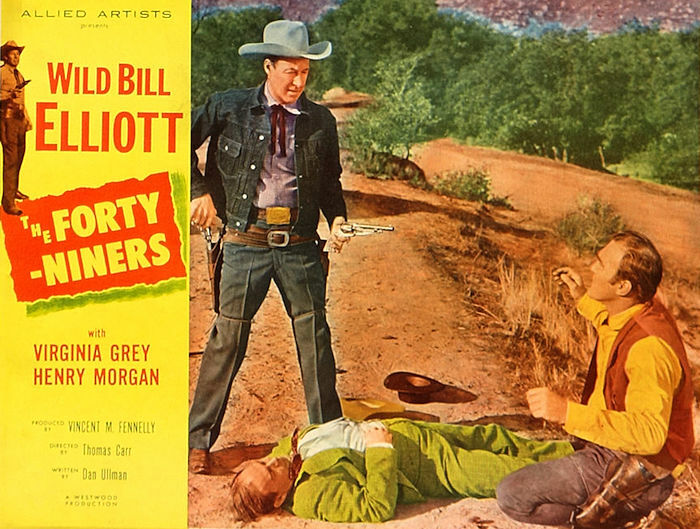 Wild Bill Wednesday #12: The Forty-Niners (1954) DVD Review. 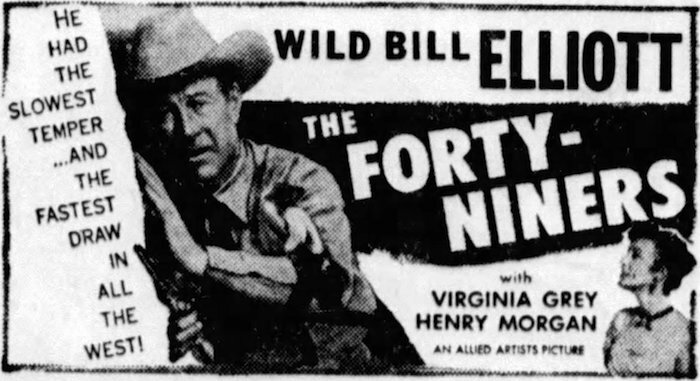 Released in May 1954, The Forty-Niners (1954) was William Elliott’s last Western. 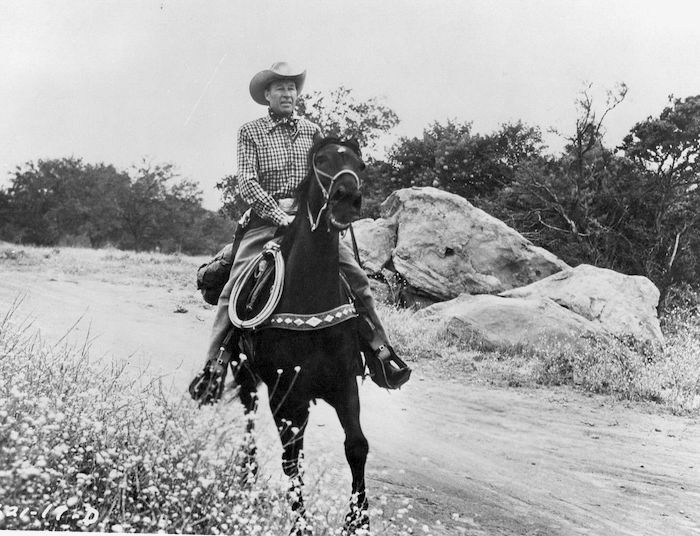 He’d finish out his career with a cool series of detective films (which many of us around here like a lot), but cowboy-wise, this was the end of the trail. 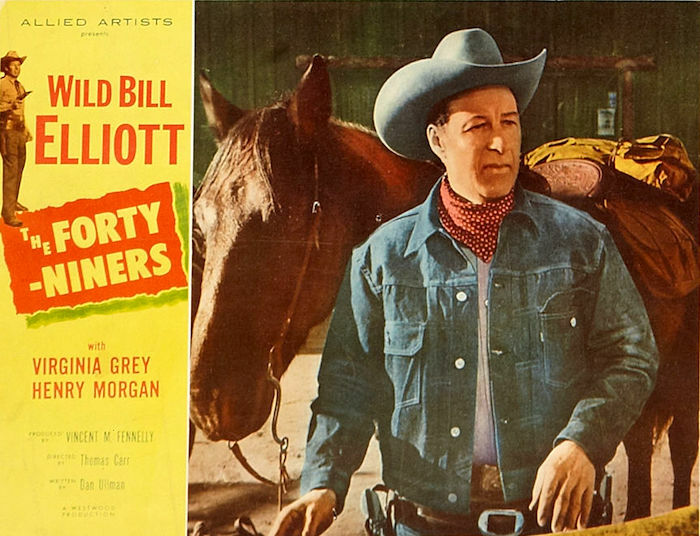 It’s the last picture in the Warner Archive set The Wild Bill Elliott Western Collection. Elliott is Marshall Sam Nelson, tracking down the murderers of a marshall in gold-crazy California. 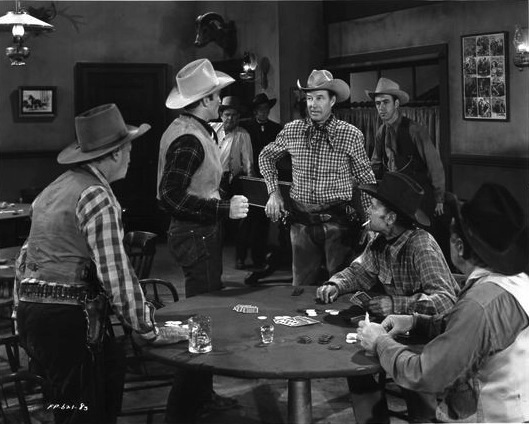 He strikes up an alliance with Alf Billings (Harry Morgan), a card sharp who may know the names of the killers. They wind up in Cold Water, where they run afoul of Sheriff Lane Bradford and saloon owner John Doucette. Nelson develops a bit of respect for Billings, who he suspects isn’t all bad. I’m oversimplifying things to avoid spoilers. Dan Ullman’s script offers up twists and turns that we don’t see coming, even though we’ve seen a million of these things. It gives Henry Morgan a good part (he’d already appeared with Elliott in Republic’s The Showdown in 1950), which of course he’s excellent in. Morgan might have more screen time than Elliott does. Virginia Grey plays Morgan’s old flame who’s now married to Doucette. And to top it all off, Elliott narrates the picture Dragnet-style. 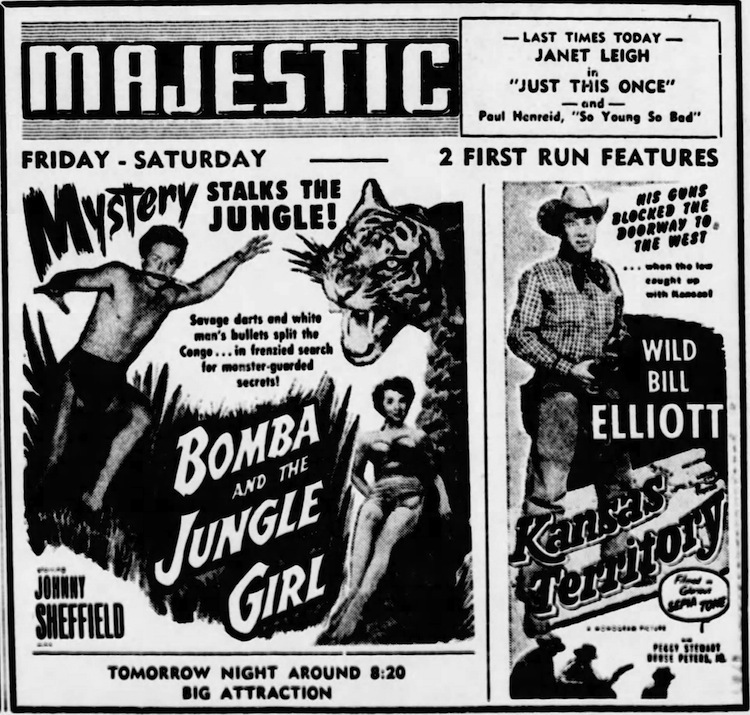 By the time The Forty-Niners began shooting at the Iverson Ranch and Corriganville, Monogram was called Allied Artists and the industry standard for projection was 1.85. 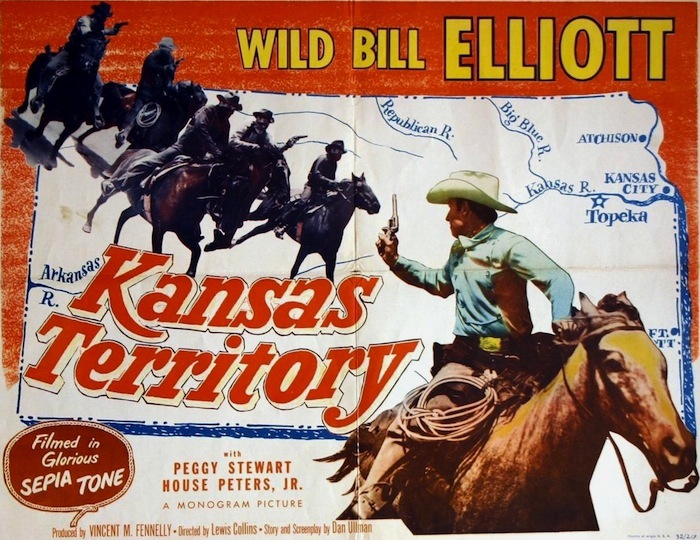 So, thanks to the folks at Warner Archive, we’re treated to a widescreen William Elliott picture. 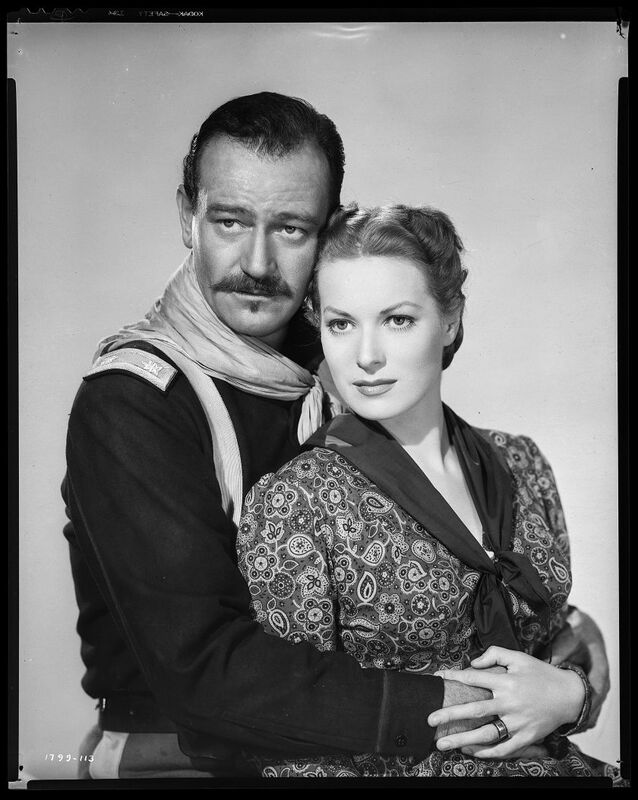 The previous entry in the series, Bitter Creek (1954), was also 1.85 — it’s not included in this set. These films were done very cheaply, and no transfer can ever make up for that. But it was shot by a real pro, Ernest Miller, and the widescreen framing gives it a fresh look. I can’t say enough about these films, or about how excited I am that they’ve made their way to DVD in such supreme condition. Highly recommended. Post-50s Western Blu-ray News #197: The Grey Fox (1982). 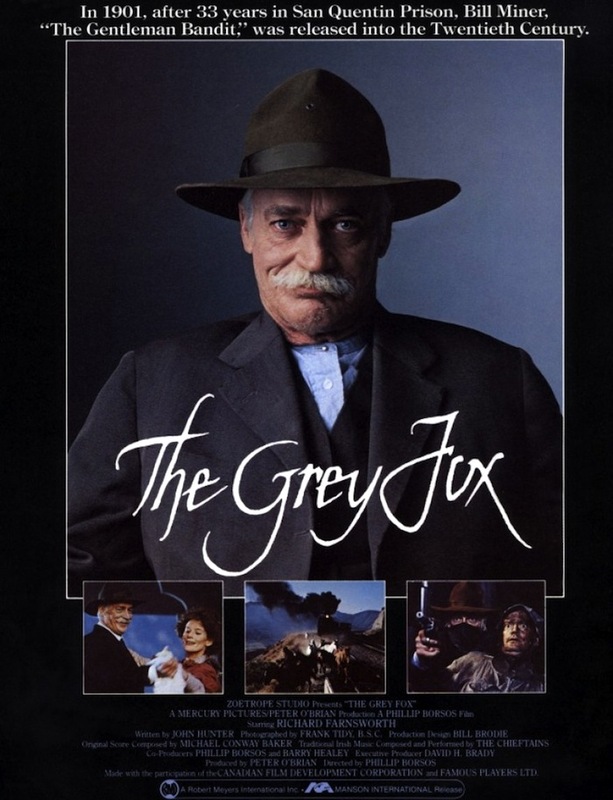 Working in video stores in college, I used to push The Grey Fox (1982) off on anybody I could. “You liked Beverly Hills Cop? Then you’ll love this!” I’m happy to say that almost everyone I persuaded to take home the old Media VHS tape ended up liking it. I’m so happy it’s coming to Blu-ray (region free!) from Panamint Cinema, folks I’m sure will treat it right. It remains one of my favorite films of the 80s, a decade that didn’t knock me out movie-wise. Panamint lists the release date as November 16. Highly, highly recommended!